Hello everyone. Unfortunately, I have some of the worst news possible to break to you today. As of this morning, Media Molecule has Officially Delayed the Release Date of LittleBigPlanet 2 Worldwide. LittleBigPlanet 2 was supposed to be released on November 16th, 2010, but is now scheduled to be released in North America, Canada, & Latin America on January 18th, 2011 (as Officially Confirmed by the US PlayStation Blog). This means LittleBigPlanet 2 will not be out in time for the Holiday Season, and is no longer just less than 2 months away... The hardest question to answer that we are constantly being asked is "WHY?!" - Well to be perfectly honest, we are not sure. The game is already in a private-user BETA Stage and everything so far appeared to be on track. Our latest speculations infer that maybe either a huge bug was found during the BETA, a programmer or important team member of Media Molecule may have gotten ill or may have even quit (although we doubt this one the most), or the case may be simply that because Sony PlayStation now owns Media Molecule, the investors pushed this release date because of the upcoming holidays and Media Molecule finally stood their ground and declared that the game is just not ready for a public release yet in their minds and that they want to add more polish beforehand. 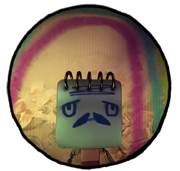 We understand that this news is absolutely devastating for LittleBigPlanet super-fans out there like us, but we must keep in mind that in the end, hopefully it is all for the best and that by the time we do get our hands on the game, it will be absolutely brilliant and even better than it would have been earlier (if possible)! This means a lot for many LittleBigPlanet related events as well, for example, we have Official PlayStation Confirmation on our Twitter Account that because of this delay, all of those who won LittleBigPlanet 2 "Early" from the Subway Contest, will instead receive an Advanced Copy of Gran Turismo 5. LittleBigPlanet 2 is a crazy dream, a dream to allow players to make whatever kind of game they want, but also to play though a great adventure of drama and excitement, power-ups, and cinematics. But like all of the most ambitious ideas, it can be a considerable challenge to turn these dreams in to fun games. We’ve all been working like powered-up space ninjas and we’re almost there, but because we love what we’ve made, and we love our little sack-friends, and most of all we love all our fans out there, we couldn’t let you all get together until we knew we were giving you the best experience imaginable. Which is why we’ve taken the hard decision to delay the worldwide release of LittleBigPlanet 2, originally slated for later this year to January 2011. We know this will come as disappointing news for all you LittleBigPlanet fans, and believe us, we are disappointed too. We are a tight-knit team and we take enormous pride in our work, so to raise the bar we’ve set with the original LittleBigPlanet, a game that has been so embraced by all, we’ve agreed to allow ourselves a bit more time to deliver the experience that our great fans and community deserve. We are truly sorry, but hope you understand that we have to build the best possible game, as it is the foundation of our community. 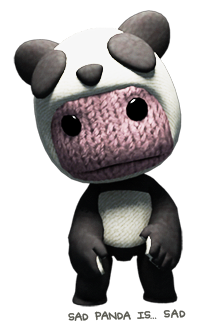 On the upside, we are going to find a way to give more of you a taste of LBP2 prior to launch, so stay tuned. Thanks for your continued love and support, it won’t be long – we promise.